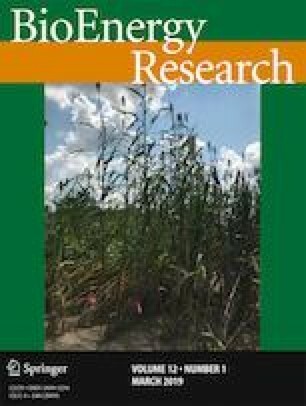 In this study, the effect of sludge retention time (SRT) on biomass production and nutrient removal was determined by constant hydraulic retention time (HRT) with mixed microalgae culture. The SRTs of 2, 3, 6, 12, and 24 days with constant 24 h HRT were studied in microalgae membrane photobioreactor (msMpBR) by using hollow fiber (HF) membranes with a pore diameter of 0.45 μm. According to the results, the best removal was achieved within 3 days of SRT. Chlorophyll-a/mixed liquor suspended solid (MLSS) ratios were found to be 0.033. Total nitrogen (TN) and phosphate phosphorus (PO4–P) removal rates were found to be 5.55 mg N/L day−1, and 0.4 mg PO4–P/L day−1, respectively. The volumetric microalgae production was found to be 0.118 g/L day−1. Also, Chaetophora sp. and Navicula sp. cultures were found to be dominant in steady state. The percentage of lipid and protein in dry biomass was obtained to be 8.94% and 30.34%, respectively. It is advisable to use algal membrane photobioreactor, and mixed microalgae cultures instead of specific microalgae cultures, which could be readily affected by seasonal changes and outdoor conditions in wastewater treatment. I would like to express my special thanks of gratitude to Aksaray University (BAP Project No: 2015-043), Kayseri Organized Industrial Zone Management, and Dr. Murat KAYA of Aksaray University, Biotechnology and Molecular Biology Department because of their contributions and supports in defining the species in mixed cultures.